PERFECTLY LOCATED IN THE HEART OF SYDNEY CITY - This huge four bedroom home is located in the hustle and bustle of Surry Hills in the heart of Sydney City and is surrounded by only the best cafes and restaurants. - Large kitchen with plenty of bench space, gas cooking and stainless steel appliances - Spacious living/dining room with floorboards - Sun room flowing to bright, landscaped courtyard - Master bedroom with balcony and decorative fireplace - Four generous sized bedrooms all with floorboards and two with built in robes - Spacious upstairs and downstairs bathroom - Abundant storage throughout - Close to restaurants, cafes, transport and schools - Built in wardrobes, Bath, Gas, Dryer, Washing Machine, Balcony, Alarm System, microwave, fridge, TV, Sofas etc. Live in the heart of Sydney City - clean, quiet and tidy home. This is a great place to relax, live in peace, enjoy a good night sleep and maintain an active life style. This location is definitely the place to live and love your stay in Sydney. Just a short stroll to Central Train Station, Oxford Street, Bus Stops at door step to anywhere within and outside the City; Walk to many of the Sydney attractions that Sydney City can offer are within walking distance. Heaps of clubs, pubs, cafes, casual eateries, restaurants, supermarkets - everything is nearby; this is absolutely one of the most sought-after location in the city. Bond: 1 week rent. A single bed in a large triple room with a large wardrobe - $240 A single bed in a double room with built-in wardrobe - $240 Private room with built-in wardrobe for 1 person - $450 Private room with built-in wardrobe for 2 persons - $480 All rooms are fully furnished and all rooms come with large wardrobes; The rent includes all bills including water, electricity, gas, internet (WIFI). All rooms have large windows, plenty of natural sun light and fresh air and peaceful residential home in the heart of Sydney City. 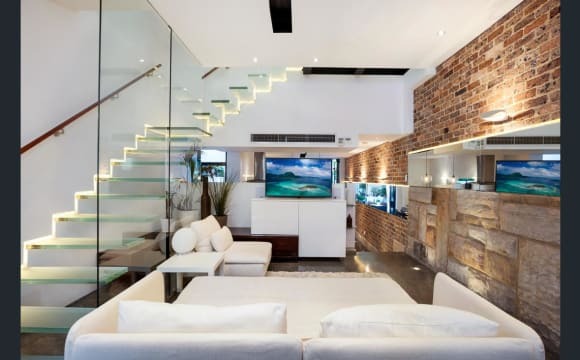 It is not a party house however parties from time to time is not a bad idea. A unique, almost secret Victorian streetscape just steps to Crown st cafes, this is lifestyle with historic charm. Renovated and bathed in natural light. Ultra convenient walk-everywhere city fringe. 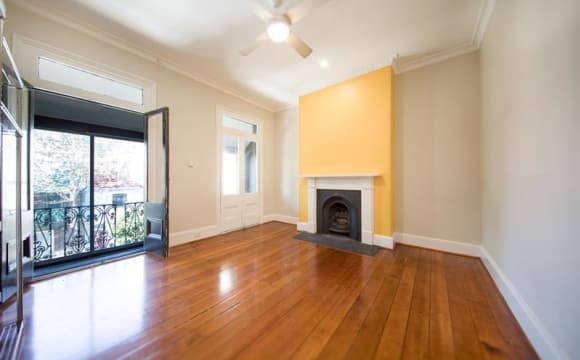 An extra spacious 4 bedroom house near CENTRAL STATION station SURRY HILLS. NOTE* NO PARTY PEOPLE STRICTLY Plenty of Cafes, bars, etc minutes away by walk. 1. 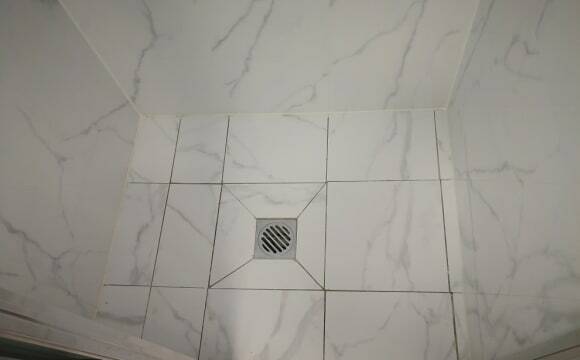 Double room : $190/week (1 bed available MALE) Available 22nd April. AVAILABLE NOW PS: Place is fully FURNISHED - TV - Big living room - Fully furnished kitchen - Washing machine. - Clothes Dryer Machine - Unlimited WIFI internet Location is CLOSE TO: - Central Train Station - Bus stop . 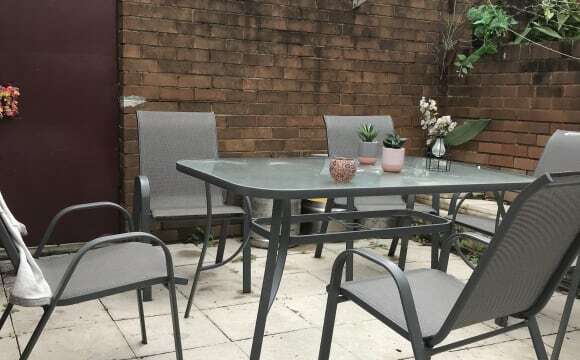 - CBD - Woolworths supermarket - Sydney CBD City/Haymarket This house is perfect for people who want to live in a location close to CBD and in SURRY HILLS. PLEASE NOTE: looking for quiet people who don’t party and don’t smoke. Ultra Modern House in Arthur St. Surry Hills Conveniently located near Surry Hills Restaurants, shop and Coles. This 5 bedrooms terrace has style, cosy and walking distance to all amenities. Close to Surry Hills, Moore Park and the City. Shared: $245/week plus $15/week per person for the bills and internet. ($260 Total) Couple: (We will change the bed to a double bed): $470/week plus $15/week per person for the bills and internet. ($500 Total) Private: (We will change the bed to a double bed): $470/week plus $15/week per person for the bills and internet. ($485 Total) (3 MONTHS MINIMUM STAY) Message NOW and hopefully you'll be one of the lucky ones to get a room here!! 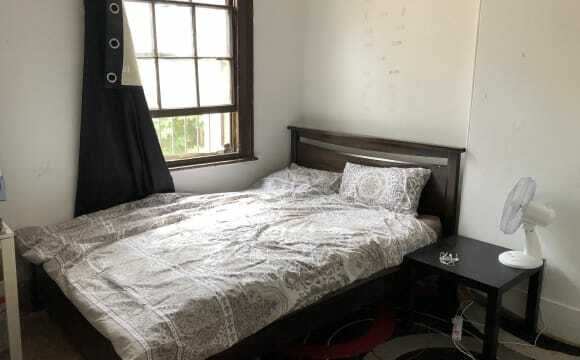 I'm renting out a bright and cosy bedroom that's large enough to accommodate a queen size bed (included), plus chest of draws and shelving unit (can be removed). It has an air-conditioner and a window that faces the apartment's balcony. Also, there is a built-in wardrobe. About the apartment: A beautiful 2 bedroom and 2 bathroom apartment in Surry Hills. It features a large living area with comfortable sofas and TV, a 10 meters balcony, fully equipped kitchen with dishwasher, air-conditioning. The complex has a pool, sauna and spa, and good security. The apartment has a great location as it is only a 5 min walk from Hyde Park and about 10 mins from Museum/Central stations. There are lots of cafes, restaurants and shops around such as Woolworths, Aldi, IGA, Coles etc. If you go to the gym, there are a few fitness centres next door - Fitness First, Anytime, Fitness Plus. A spacious 3 bedroom terrace in the heart of bustling Surry Hills. We have a large living/dining area, carpets throughout, Foxtel, internet, separate large, open and fully equipped kitchen with seating area which is great for dinner parties and having friends over. There is also an outdoor courtyard area with a BBQ for the summer or can be used as a car space too. We're located on the beautiful leafy and vibrant Bourke Street, minutes walk from Bourke Street Bakery, (not always a good thing!) cafes, bars, restaurants, pubs and supermarkets. 5 minute walk to the bus stop or a 15 minute walk to Central train station. A great area for just walking around and people watching or there's a park close by to go running or to soak up the sun. Home features Cable or satellite TVBroadband InternetClothes washerCourtyard, garden or yardBBQ facilities Bills and expenses The bills are split 3 ways and include gas, electricity, foxtel and the internet. We also just take it in turns to buy shared household items such as cleaning materials etc. A lovely place in a great location. 6 min walk to the Central Station, Prince Alfred Park &amp; Swimming pool is just across the road, 1 min walk to bus stops, 10 min walk to groceries, closer to all kinds of restaurants and closer to everything If you have any questions, feel free to ask. Recently renovated, three level terrace house with air conditioning in every room, multiple t.v. 's and built-ins in each room. We have two outdoor areas; a ground floor courtyard and rooftop terrace, which are great for entertaining. The house has plenty of space and is very airy. The house is kept super clean but we also get a cleaner every fortnight to help us along! Our bills are pretty standard; gas, electricity, water, internet and cleaner. We're flexible on the rent for the right housemate. There's heaps of storage throughout the house and we have a washing machine and dryer. The room The room is large (4.5m x 4.5m) and includes built-in wardrobe, en suite - full sized shower in the picture - air conditioner and built-in desk. It's away from the street and is very quiet. 1 x roomy master bedroom, features include robes and balcony ($365). Both rooms have ceiling fans and all bills are included in rent, including unlimited internet. Terrace is tucked away on a quiet street just off Cleveland Street and parallel to Crown Street. Minutes away from all the cafes and bars of Crown Street, and a short walk to Oxford Street, Redfern and Central Station. Direct buses to CBD, Bondi Junction, Coogee and Newtown. Coles conveniently located down the street. 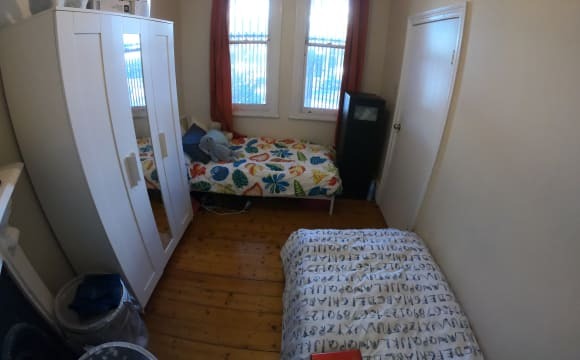 Hi guys we are international student looking for new room mates to share our lovely place in surryhills behind the central station and 8 minutes walk to museum station. We are pretty outgoing people during the weekend During the week we study and work so the flat is not a party house Close to China town Close to worldssquare Perfect place for students Please contact me if you are interested. 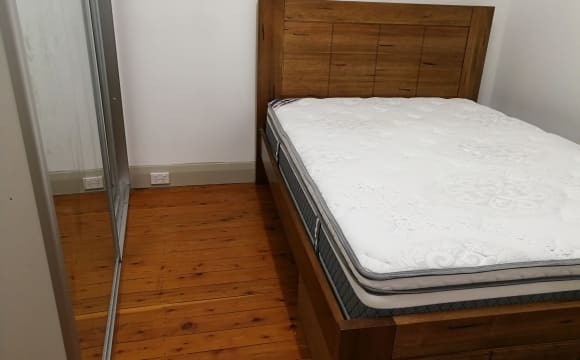 1 large furnished bedroom - Ideally located close to Central train station and in Surry Hills beside bars and restaurants. 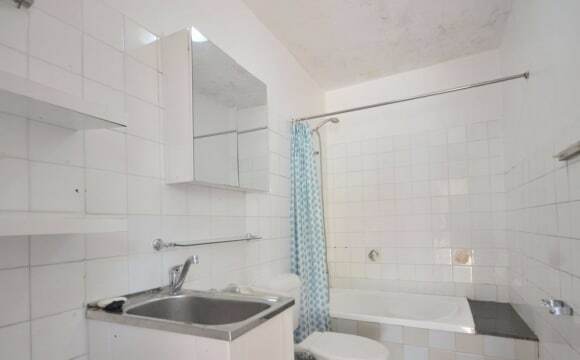 Bathroom is located outside but still part of the house property. 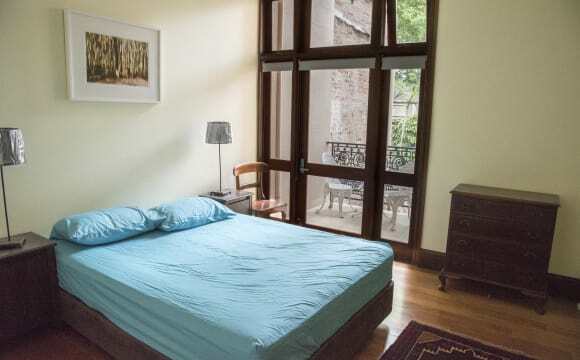 Cheap price for own private bedroom in walking distance to the CBD. A flexible length of stay is acceptable once you find a replacement. Suitable for students, working holiday visa and professionals. The roommates are a mix of Aussies and International who socialise and get on well with one another. Bills and Internet are included in rent. Only message if actually interested in renting. Property: 3 mins walk to Central Station 15 mins walk to UTS University. 7 mins walk to CBD Please message to organise a viewing. Great location, quiet street, friendly flatmates, lots to do in the area and lovely house with backyard, bbq etc. 3 friendly housemates in our early 20s working in banking and consulting. House itself is on a quiet pebbled street in Surry Hills, super close to bars, pubs, cafes and transport. 10 min Ubers to beaches / 30 min leisurely walk to CBD (you can walk to work). 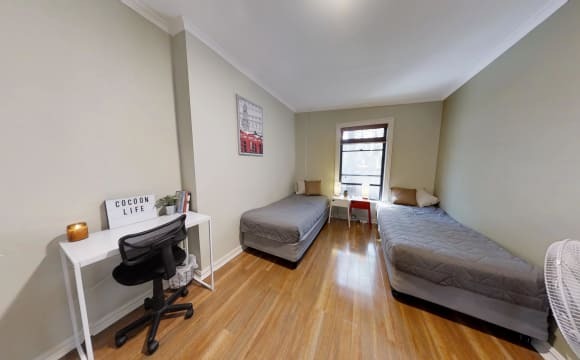 It’s in a central location on Cleveland St - close to UNSW USYD, Crown St and the city with Coles Supermarkets down the road, bus on the doorstep, and a ten minutes walk to Central Station. The house has 3 bathrooms, one kitchen, common area and an outdoor space. The room are fully furnished with a bed, wardrobe and desk. Large room with private balcony, ensuite, fridge, microwave, TV, and all furniture in the heart of Surry Hills. The house is a very clean and quiet, Victorian heritage terrace house, and has recently been renovated. Minutes walk to King’s Cross, Central Station, CBD, Darling Harbour, Hyde Park, museums &amp; art galleries. Surrounded by some of Sydney's best restaurants, cafes &amp; bars. This is a no-smoking and no-party house. We emphasise the quiet enjoyment of our residents. Minimum term is 3 months. Residency fee must be paid by auto EFT (internet banking) from an Australian bank account. Tariff includes furnished room, electricity, water, wi-fi and use of all communal facilities, including kitchen, dining area, courtyard, BBQ, and a coin-operated laundry with washing machine and dryer. There are also clothes lines. Each room has its own secure door lock. Upfront costs: two week’s residency fees in advance, two week’s security deposit, and key deposit. The house is quite old but there is a balcony. The room and the bathroom are outside but is two minutes to Central Station. The internet is NBN Fibre. The room is available from 24th of May.